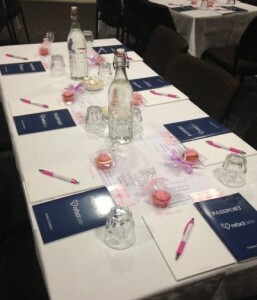 The Nelson Regional Breast Cancer Trust’s inaugural Survivorship Day was a huge success with almost 100 delegates attending. The conference was specially developed for breast cancer patients, their carers and health care professionals and focused on moving forward with life beyond treatment for Breast Cancer. Guest speakers presented sessions throughout the day aimed to help delegates understand what facilities are available locally in terms of follow-up medical care and support services. Topics covered included dealing with the physical and emotional effects of treatment, the importance of exercise and nutrition and lingerie options post surgery, the emphasis was very much on practical information to help survivors deal with both physical and emotional changes, allowing them to move forward and embrace life. We hope to run the Survivorship Days bi-annually in future, and have several fundraising events coming up later in the year, including the annual Bootcamp for Breast Cancer (16th November) in order to fund an ongoing programme. 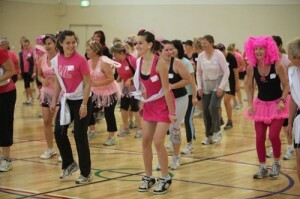 The annual Boot Camp for Breast Cancer has raised over $13,400 for the Nelson Regional Breast Cancer Trust. 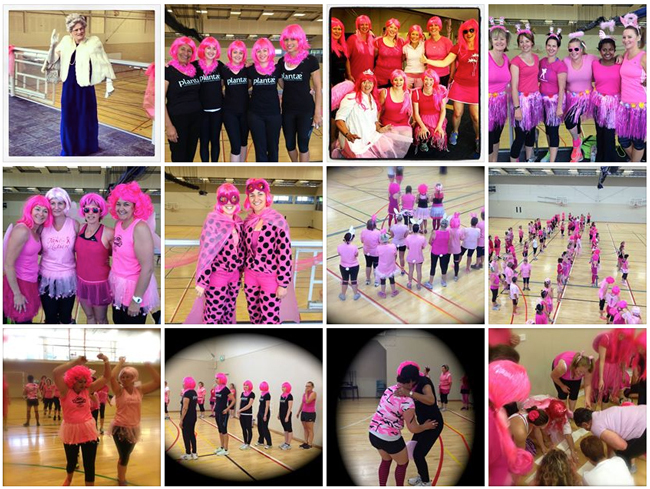 Over 125 pink clad locals took part in the fundraiser yesterday, which was run by trainer Greg Witika, of Wairua Body Coaching, at Nelson Girls College. We were absolutely thrilled with the turnout, it is always so much fun, and everyone really got into the spirit of the occasion. All of the money we raise goes directly towards helping local patients and their families, so we would like to express our heartfelt thanks to everyone who came along and showed their support, we couldn’t have done it without you. Of the total pool raised at the boot camp, $5,000 was received from corporate sponsorship, and over $7,000 from event registration fees, personal sponsorship, raffle tickets and refreshment sales. 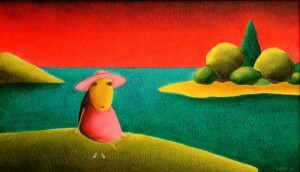 Pink is Infashion, hosted by MS Ford Nelson. This fabulous fashion show was held on Thursday 16th May, 2013 at MS Ford Nelson. Tickets sales, auction sales and donations raised over $14,000. 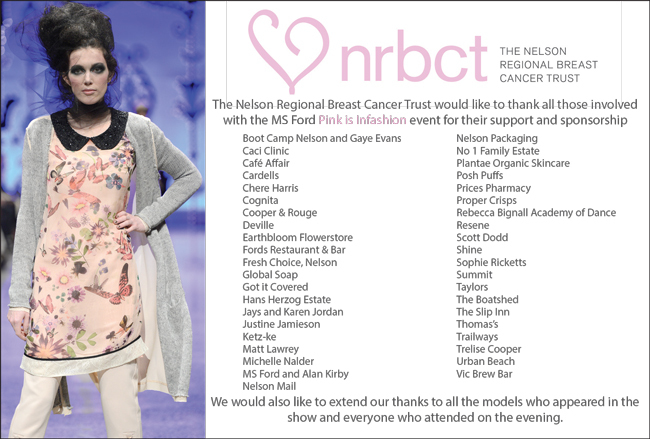 A huge thank you to all our sponsors. 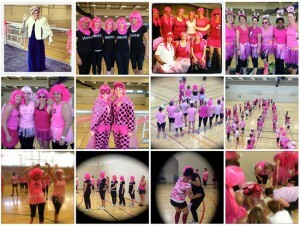 The annual Boot Camp for Breast Cancer has raised over $13,000 for the Nelson Regional Breast Cancer Trust. Over 100 pink clad locals took part in the fundraiser yesterday, including Crusaders and Tasman Makos star Tom Marshall, which was run by trainer Greg Witika, of Wairua Body Coaching, at Nelson Girls College. We were absolutely thrilled with the turnout, it is always so much fun, and everyone really got into the spirit of the occasion. Of the total pool raised at the boot camp, $6,000 was received from corporate sponsorship, and over $7,000 from event registration fees, personal sponsorship, raffle tickets and refreshment sales. Pink is Infashion, hosted by Jays on Bridge. This fabulous evening of fashion and fun was held on Thursday 11th October, 2012 at Jays on Bridge. Tickets sales and an auction raised $4,540. A huge thank you to all our sponsors, and everybody who came along to support the event. 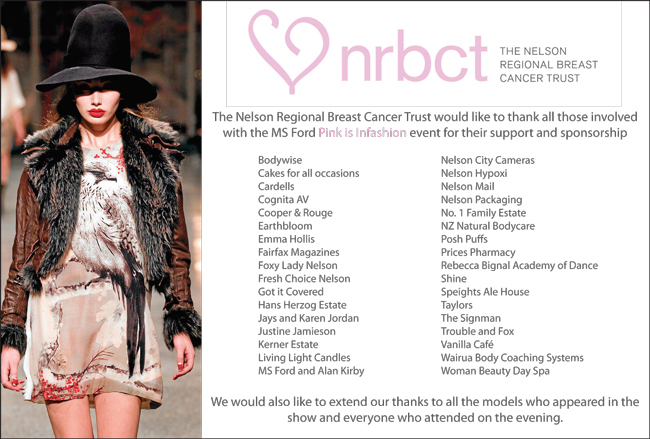 This fabulous fashion show was held on Thursday 10th May, 2012 at MS Ford Nelson. Tickets sales and raffle sales raised over $7,500. 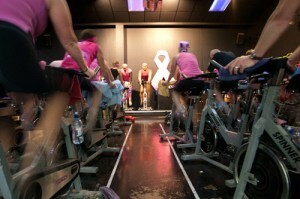 In October 2011, a two hour Group Ride was held at cityfitness, Nelson. The cycle studio was filled with twenty-five participants, who were led by trainers, Greg Witika and Jason Hulena, for a two-hour endurance class. There were well deserved spot prizes all donated by local businesses. The event raised over $1,000 for the trust. In October 2011 Jays Fashions hosted a spectacular evening for 100 women, bringing together stylish clothing, gorgeous accessories, beautiful lingerie and stunning make-up all under one roof. Ladies were treated to a fun and informative performance of local breast surgeon, Ros Pochin’s Pecha Kucha. A raffle was held for a specially commissioned Lloyd Harwood painting, pictured right. Everybody left with a goodie bag packed to the rafters with special treats. The evening raised almost $8,000 for the trust. An army of pink-uniformed women and men leapfrogged, jumping-jacked, and danced around the Nelson College for Girls gymnasium on Saturday 3oth October, 2010 during the inaugural Boot Camp for Breast Cancer (BC4BC), helping to raise a total of $36,000 for the event. Trainers from cityfitness marched participants all around the gym, having them solve puzzles, pass balls through legs and overhead, and leapfrog teammates clad in every variation of pink garment from tiger print bras and ballerina tutus to glitter wigs and butterfly wings. Over 50 prizes were given to participants, including for best dressed team, those with the most stamina, and best impromptu haka as well as spot prizes for best athletes and outrageous performers. The 2010 event aimed to raise money to help purchase a portable ultrasound machine to be used for surgical outpatients at Nelson Hospital. An ultrasound machine would allow guided biopsies to be taken in clinic rather than on a separate visit, reducing stress and waiting time for patients and their families and providing the assurance of a quick diagnosis.